This allows for more intricate designs and allows kids to create some spot on and realistic looking vehicles of their choosing. If you’re new to the whole Lego landscape and don’t have any idea what to choose, you have come to the right place. Let me guide you to the current best Lego Technic sets on the market today. Afterwards, we will discuss some of the benefits of letting your kids play with Lego sets. Lego Technic is a bit different than your standard Lego bricks. It utilizes pegs and beams alongside your standard Lego bricks. This is definitely one that I highly recommend for kids to young teens. The Fire Plane can seem a bit overwhelming for those who are still inexperienced in Lego toys. However, that is the beauty of such toys, they teach you how to plan and organize. I actually helped my kids build this one which is also a great way to bond with them. The Fire Plane looks merely fantastic once completed, took us around 3 hours to make but that is a fun 3 hours. Seeing your kid slowly get the hang of snapping the right parts together is gratifying. The Fire Plane comes with a front propeller that spins when you push the plane forward. The highlight of the set, for my kid, was the compartment that you fill with blue blocks to simulate the fire plane dropping water onto fires. It actually operates by flipping a switch at the top which then opens the flaps below. My kid plays with it a bit different as he puts in some of his smaller toys and re-enacting an action movie when the hero gets dropped into enemy territory. While the Fire Plane Building Kit is designed for older children, my kid, who is 6 years old right now still enjoyed building and playing with this kit. It’s definitely a worthwhile set if you’re looking to nurture your kid’s cognitive skills and imagination. An impressive build and rewarding to complete. Great for older children and younger ones (at least 5 years old) as well. Realistic functions that let you control multiple parts of the plane. Might prove to be a challenge for first time Lego users. However, the challenge is part of the fun with these toys. If you think the 42040 Fire Plane Building Kit is a bit intimidating, then you might want to check the classic 42035 Lego Technic Mining Truck Building Kit. I recommend this one for those who are still new to the whole Lego Technic series. The 42035 Mining Truck can be a good introduction toy for kids ages 9 and above. You can also get this alongside the 42023 Lego Technic Construction Crew set to give your kid an excellent starter pack that will pretty much contain all necessary parts to build whatever they can think of. This set is a small to medium sized Technic building kit with a decent amount of parts at around 361, I believe. This is also the reason why I suggest you pair this with the 42023 set as 361 is a pretty small number of parts for a Lego Technic playset, all things considered. It also comes with a new digital instruction manual that you can save to your tablet or smartphone device. I’m not entirely a fan of it as I prefer the printed manuals, but my kid seems to enjoy it and finds it more comfortable. I don’t know, must be the generation gap. All in all, the 42035 Lego Technic Mining Truck is a great alternative pick if you want something that is suited for beginners. It comes with a digital instruction manual. I’m split with this new method of offering instruction manuals, but my kid seems to find it easier so your kid might too. With only 361 parts, the 42035 will surely leave experienced builders wanting more. The Getaway Racer is a great, affordable, and accessible to build Lego Technic kit that is also designed for younger children. True to its name, it comes with a pull-back motor that makes it zoom across the floor. The heavy-duty bumper is a great way to prevent damage in the inevitable scenario of it slamming into a wall, as my kid has proven about a dozen times already. The 42046 is also a simpler model to build as my kid, who has already completed a couple of Lego Technic sets, was able to finish this one on his own. I’m planning on giving him the 42047 Police This LEGO Technic model is designed to provide an immersive and rewarding building experience. You might find this one an excellent choice for younger children that have an affinity for fast toy cars. Reliable quality and affordable price tag. Instruction manual might cause an issue as it looks somewhat complicated at first glance. Wish they made it a little bit simpler and more accessible to grasp for beginners. As you might expect from a Lego Technic that comes with remote control capabilities, this one can offer quite a challenge to complete. The price tag for the 42030 is also considerably higher than most Lego Technic kits on the market at the moment. This one is for those who want a good challenge for their kids as well as an excellent reward for the effort. The 42030 Volvo L350F is a beast, to say the least, it’s quite large and heavy which perfectly replicates the original Wheel Loader. It is a nigh perfect replica for the Volvo L350F with a Volvo-green engine with throttling pistons, a rotating fan, the loading lifting arm, and a sloping bucket. My child found the remote control to be quite smooth and easy to operate. It’s completely wireless so no tangle issues here. The controls operate the L350F as well as the lift and bucket arm. My kid enjoyed playing with for hours. It was a rewarding experience for both of us when we finished this monster. The price might be steep, but the overall quality of the 42030 is well worth it. It also offers a balanced difficulty in assembly. It might even spark an interest in engineering in your kid. It’s a worthwhile purchase for kids who want a good challenge. The remote control is simple. Top-notch quality Lego Technic that has impressive functions to tinker with. Might take some time to complete. I found it always fun to bring my toy in the yard when I was a kid. I felt like a filmmaker going to exotic locales to shoot my movies. Fortunately, my little kid also displays this affinity to outdoor play time. This is actually one of the reasons why I bought him the Lego technic Formula Off-Roader. It is designed for play in rugged terrain with its suspensions and large tires. It’s a pretty bouncy toy car when played outdoors, and its solid construction ensures it won’t fall apart. My kid has been playing with it a bit too rough, and I was actually worried that its parts will start to come off. Fortunately, no such issues were experienced. This is also a pretty straightforward Lego Technic Kit. No extra bells and whistles to complicate assembly. It has your standard Lego Technic parts so an experienced builder will be able to finish this in under an hour. My kid didn’t even need help in building the Off-Roader at all! One feature of the Off-Roader I found to be a great addition is that this is actually a 2 in 1 Lego Technic Kit. You can change it to have that more traditional race car aesthetics if your kid wants to play it indoors. It will lack the suspension though, and it will lose some of its flashier design when changed to its B-model. It’s still a great feature to have in an affordable Lego Technic kit. Sturdy once completed. Can handle some pretty rough playtime. One of the easiest Lego Technic sets to build. Great suspension and large tires make it a great outdoor toy as well. 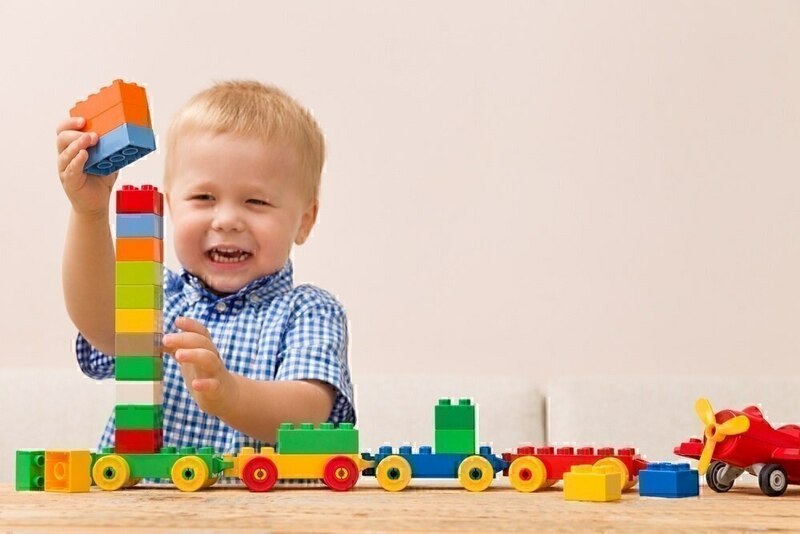 Lego has always been a staple toy for kids who are within their developmental stage. In fact, I would even say that Lego has transcended the age barrier as it can still be a great toy for late-teenagers and adults alike. 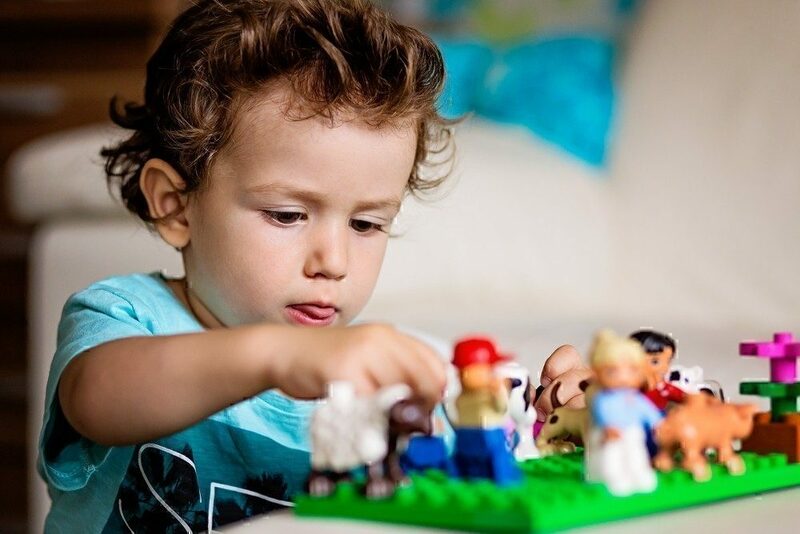 Playing with Lego at an early stage helps children boost the development of their visual and motor coordination as they experiment in combining different blocks. Lego toys, as I’ve stated earlier helps nurture the imagination and their math skills in the area of geometry. 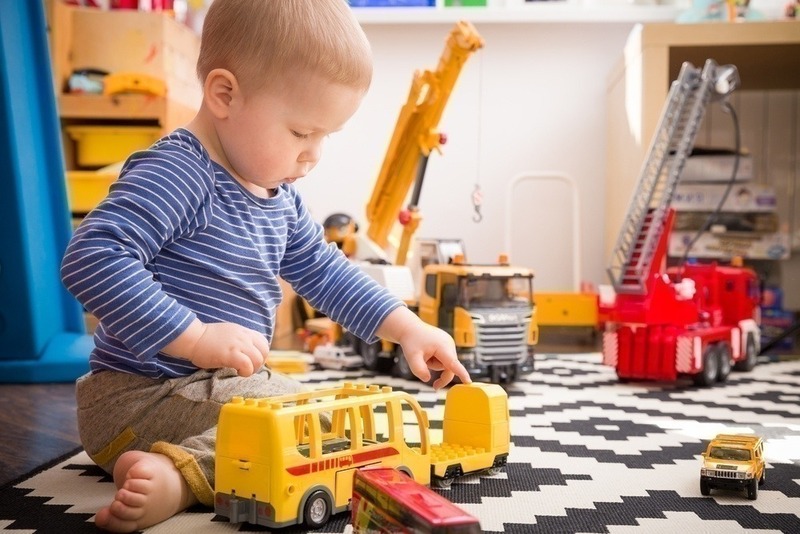 This can fuel their interest in subjects like engineering at an early age. Lego can also sharpen a child’s creativity. While Lego sets come with precise instructions, I actually encourage my kid experiment when playing. Learning from the instruction manual, they will have the necessary tools to create some unique contraptions using Lego blocks. I also find that playing with Lego can help your child understand the laws of fundamental physics. Gravity and balance will be some of the leading factors they will learn when assembling Lego blocks. As I have said earlier, Lego sets offer a wide range of benefits for children which is why I highly recommend that you give an age-appropriate Lego set for your toddler. Is it appropriate for their age? You can’t give a Lego set designed for kids 11 years old and above to a child below the age of 5. The blocks are small and are choking hazards. Be aware of this factor. There are many building kits to choose from. Pick one that you believe your kid is interested in. If your child loves cars, buy them a Lego Technic car set. How difficult is it to assemble? Make sure to not get an overly complicated set for your kid if there are still learning the ropes of building Lego blocks. This can lead to them being discouraged to continue playing with this fantastic toy series. With everything taken into account, I believe that the Lego Technic 42040 Fire Plane Building Kit is definitely the one that I recommend the highest. It has a reasonable difficulty regarding assembling the model. It comes with a fair price tag, and the model itself offers a pretty good replica of the real thing. 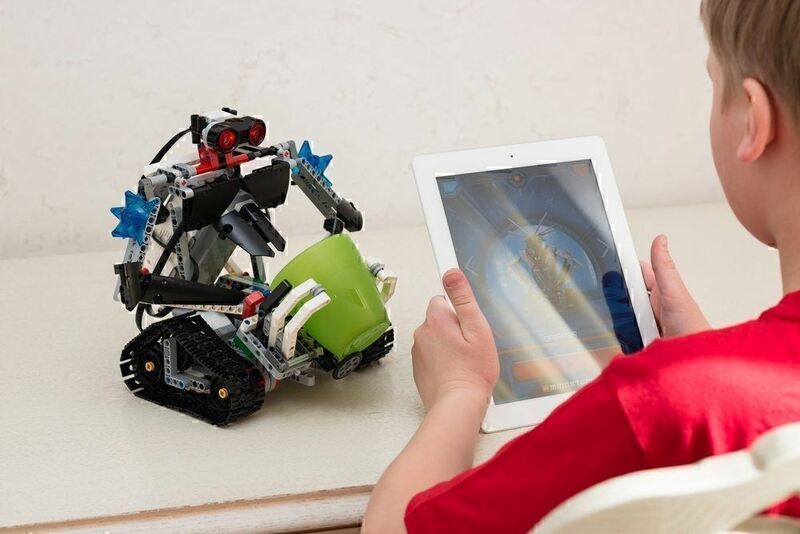 The number of parts also allow for some experimentation for your child. 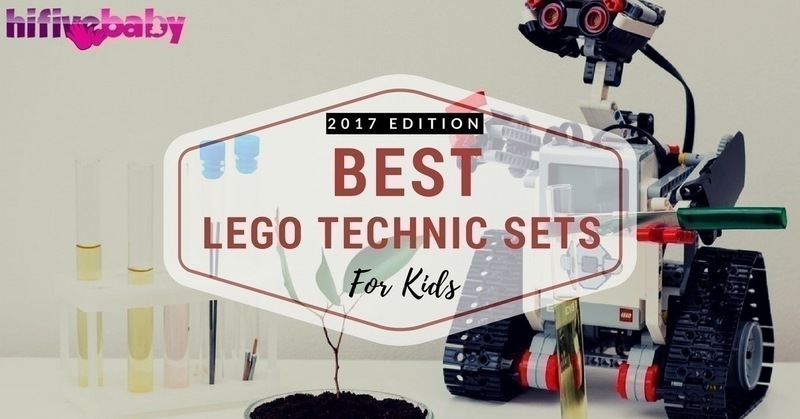 Hopefully, this list of the best Lego Technic sets helped you figure out the best one for your child. If you have anything else to add to the discussion, then feel free to use the comment section.